News and information from the Waterways Forward project – an EU Interreg IVC programme project. The following post adds information to the earlier blog EU 2020 Biodiversity Strategy: Invasive species present threat to waterways biodiversity. The information and slides below have been taken from a recent presentation, “Invasive Species – The Cost to the Green Economy” by Paula Treacy, Senior Environment Officer, Waterways Ireland during Waterways Forward Partners’ meeting in Paris December 2012. The presentation highlighted the potential income generated by waterways in Ireland balanced against the cost of attempting to maintaining an ecologically balanced waterway system. The threat of invasive species overwhelming vast lengths of the Waterways Ireland’s system is demonstrated in economic terms by the figures presented in this presentation. A balance between making optimal use of environmental resources, while maintaining essential ecological processes is essential. WI strive to ensure viable, long-term economic operations whilst providing socio-economic benefits to all stakeholders. total income in the region of 1.2 billion euros has been calculated from boating, walking, cycling, angling and other water-based tourism. cost of removing Elodea nuttallii, a species of water weed from one section of the Upper Lough Erne Navigation in 2010 was calculated as £91,000. removal of Crassula helmsii, from 2.2 km of the Grand Canal cost WI 170,000 euros. Information is communicated and exchanged by their participation in the All Ireland Invasive Species Group, increase education through stakeholder engagement and are working to introduce bio-security protocols. In addition, they are co-funding research on Asian Clams in the Barrow Navigation and Shannon River and research to control zebra mussels on the Grand Canal at Tullamore Harbour. 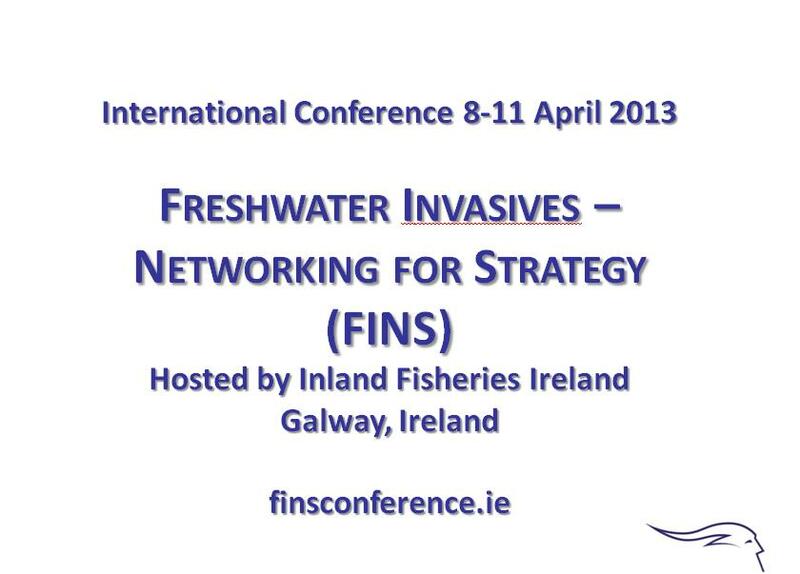 Please see details of the following conference due to take place later this year in Galway, Ireland. Amazing video of Pontcysyllte Aqueduct ....as you've never seen it before!